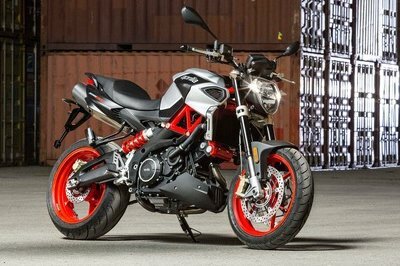 The face now looks mean and bold with the serrated headlight design The front fenders gets styling elements extenuating the sharpness. 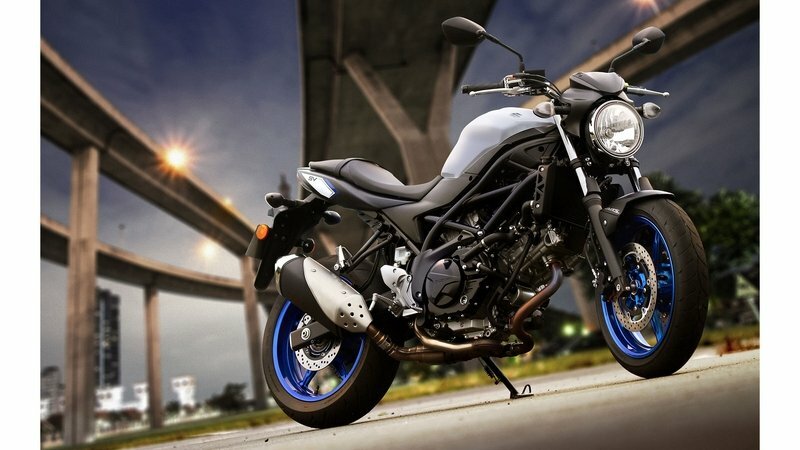 The naked streetfighters from Yamaha have been making a lot of noise everywhere they go. 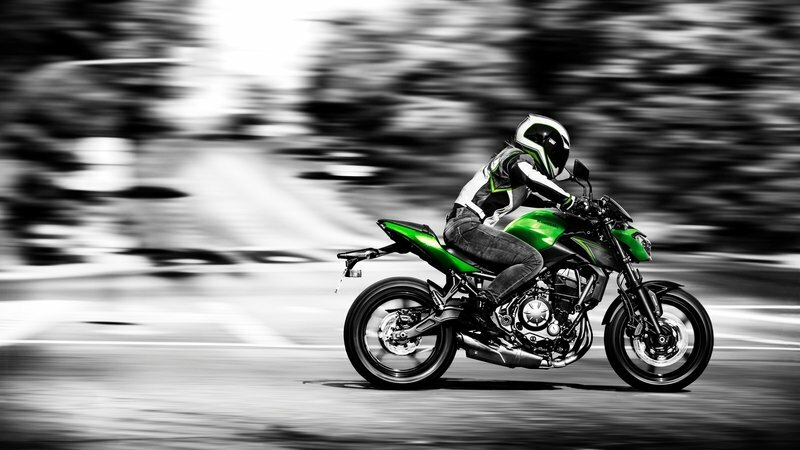 Be it as the ‘FZ’ series here at home or as the ‘MT’ in European markets. Thanks to their mad engines and stunning designs, they have been an enormous success for the Japanese Blue Team. 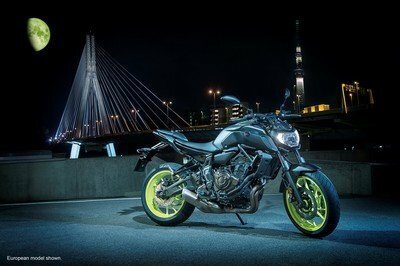 Out of all the hyper nakeds that Yamaha sells, the MT-07 (FZ-07 before) is the most loved one of the lot. 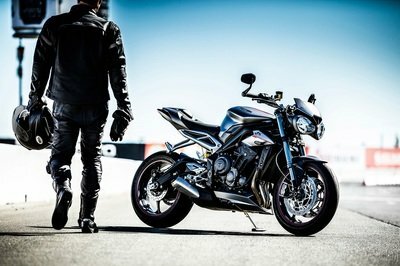 It always had a right balance of features coupled with the torquey cross-plane concept twin-cylinder engine that made it accessible to a wide range of riders that loved its multi-faceted character. 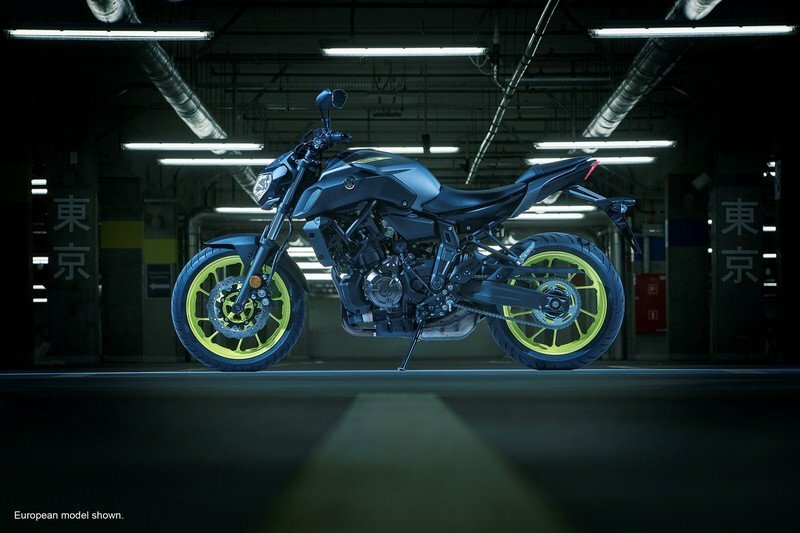 Appreciating all this love, the Japanese folks have given it a major makeover for 2018 that starts with a fresh new bodywork inspired by its elder sibling, the MT-09. 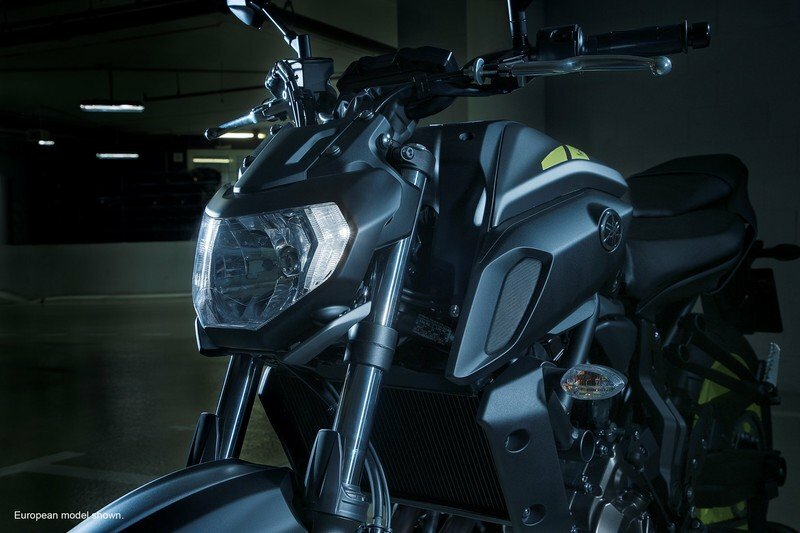 The face now looks mean and bold with the serrated headlight design and the front fenders gets styling elements extenuating the sharpness. The front fenders gets styling elements extenuating the sharpness. The tank section gets new sleeker tank shrouds carrying the faux air intakes that make the previous ones look bulbous. 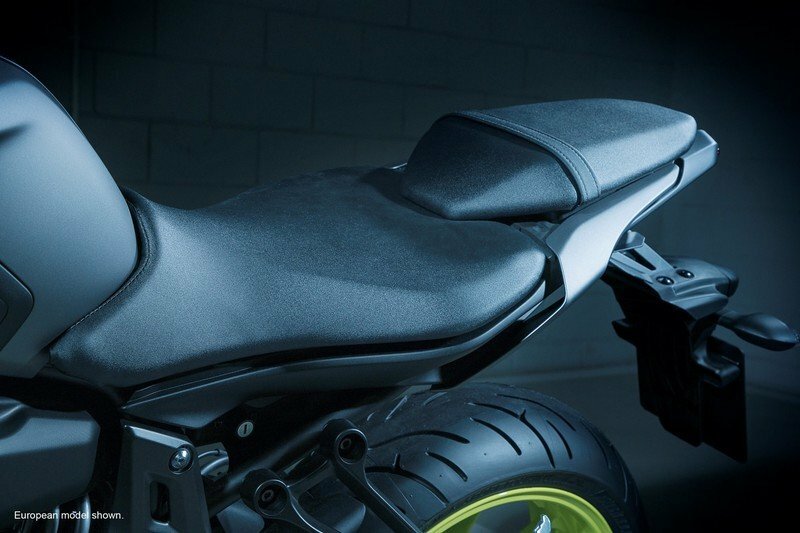 Both the rider and pillion seats get refurbished to give more support and freedom for the rider to move, and also to look more angular to compliment the new compact taillight. 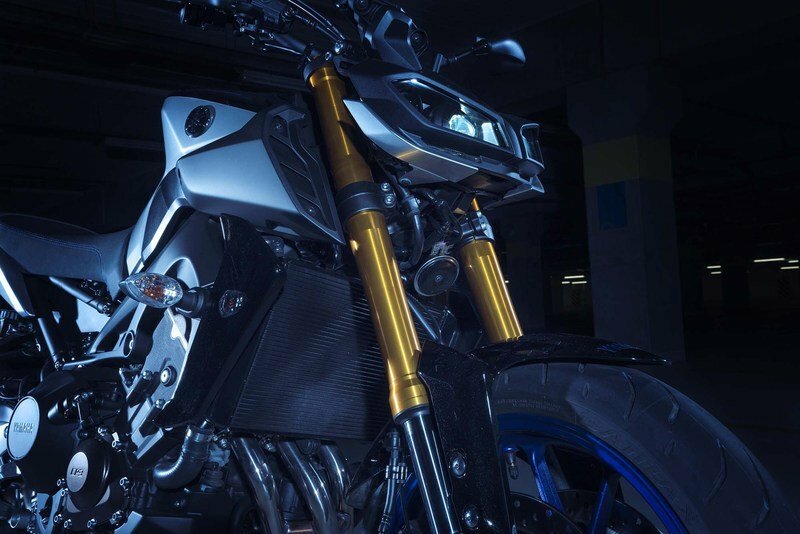 Mechanically, the MT-07 will still run on the same 698cc “Crossplane Concept” engine, a parallel-twin mill that belts out close to 74 hp and 92 lb-ft of torque. Unfortunately, you still don’t get a slipper clutch, a standard on other middleweight nakeds these days. But you still get plenty of BRAAP when you get twisty with the throttle. 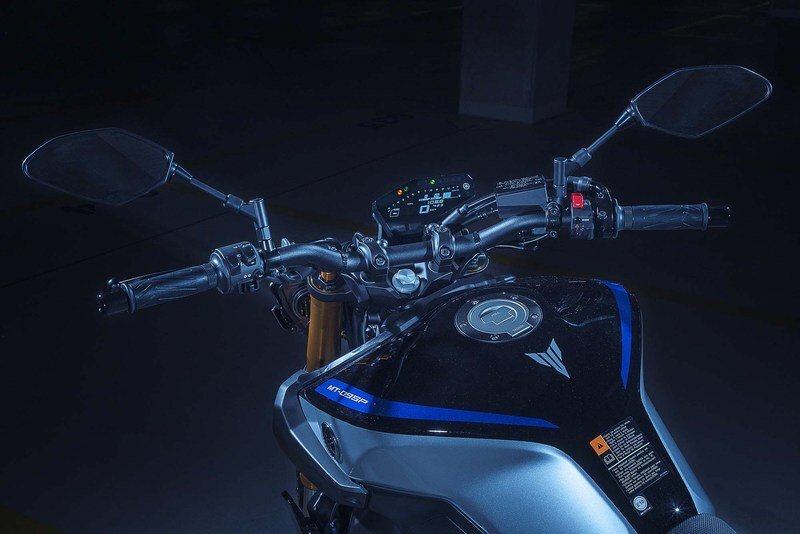 For 2018, Yamaha has updated its suspension units with new sportier front fork settings for refined feel and adjustability and the rear gets rebound damping adjuster and revised settings. ABS now comes standard. 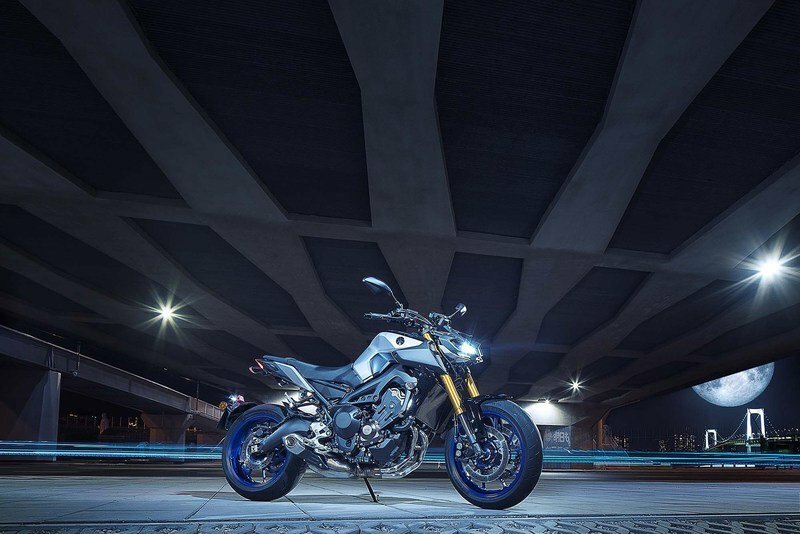 You can get your hands on the 2018 MT-07 for $7,599 starting from March 2018. 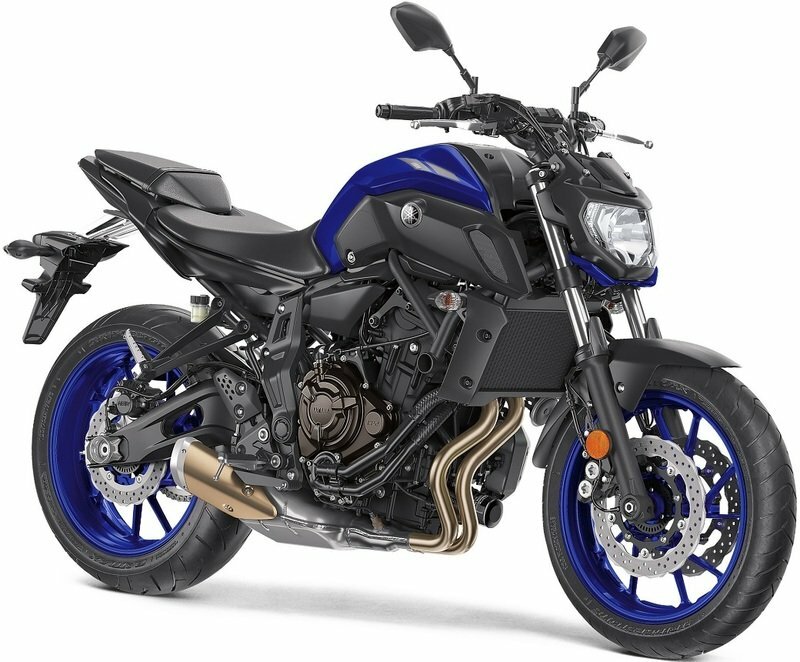 It will be available in Matte Gray, Team Yamaha Blue, Intensity White. 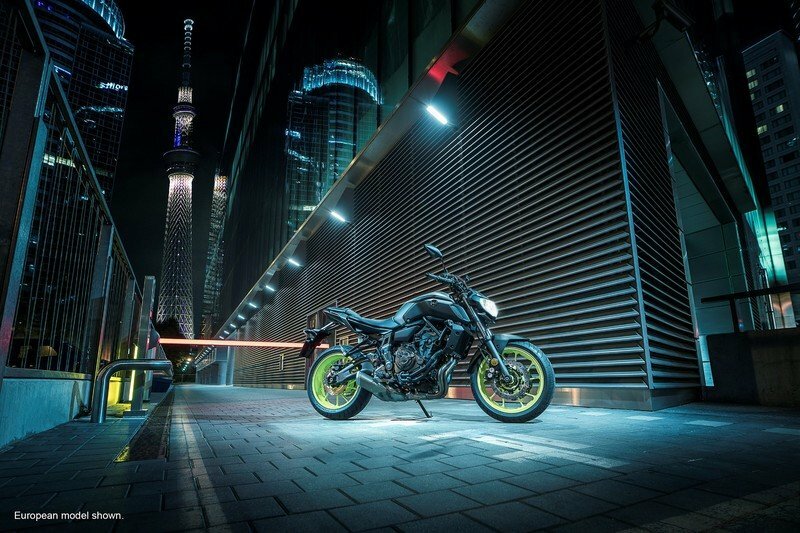 Along with the standard MT-09, Yamaha has introduced the ‘SP’ variant for 2018 that takes the standard bike to the salon. 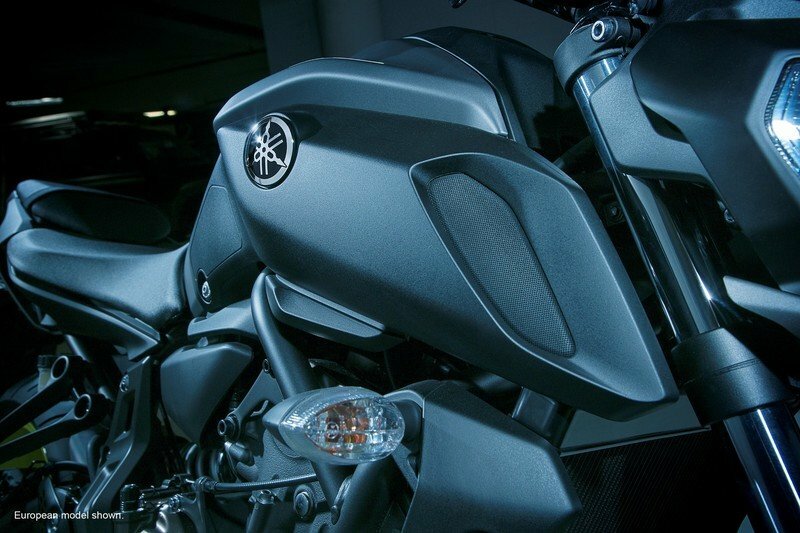 Taking cues from the MT-10 SP, the eldest hyper naked of the family, the 09-SP gets the swanky Silver Blu and Carbon color scheme as well as blacked out controls. 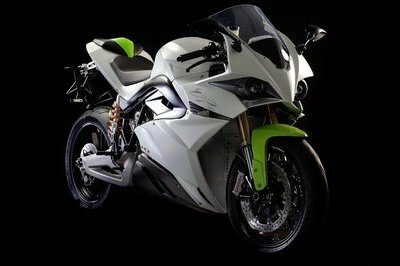 It includes new decals, SP graphics and 3D Yamaha tuning fork logo on each side. 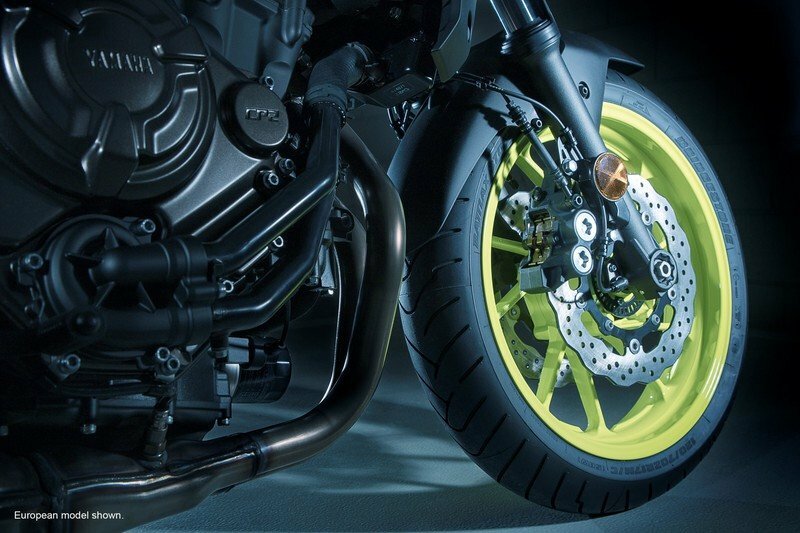 Lightweight blue 10-spoke wheels are featuring MT-09 SP graphics and blue stitching on the seat complete the look. 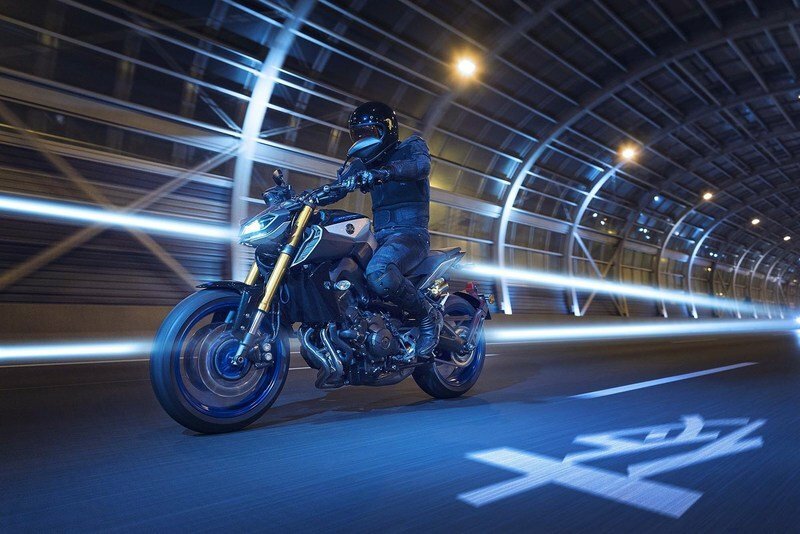 On the mechanical side, it all remains the same with Yamaha’s 847cc three-cylinder torque-rich cross-plane engine making 115hp and 64.5 lb-ft of torque. 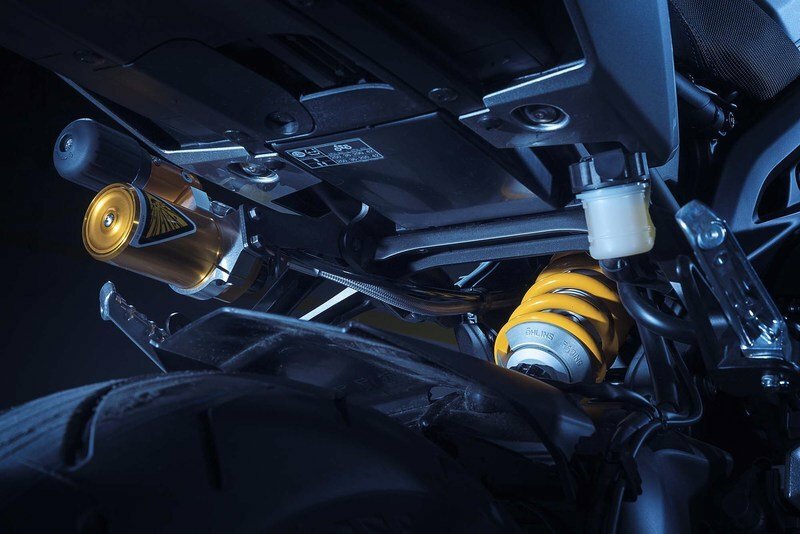 Slip-and-assist clutch makes clutch actions a breeze, and the six-speed with quickshifter helps aggressive riding give you a whole new experience. 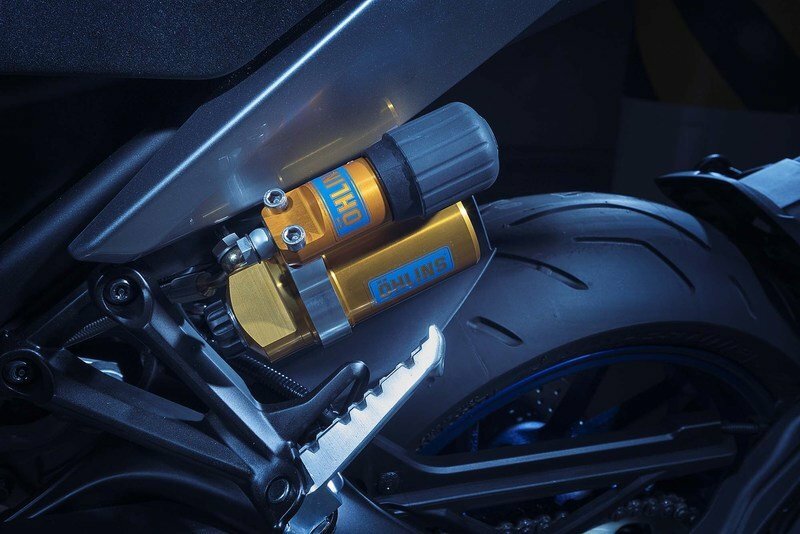 The SP gets new Öhlins equipment offering high levels of adjustability via an easily accessible remote adjuster for both the fully adjustable front forks and the rear mono shock. Will we get this bike her on our shores? 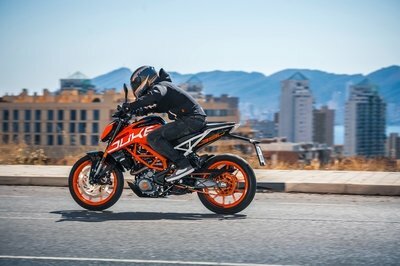 Highly unlikely, considering that we didn’t get the MT-10 SP either. The European folks can expect this on showroom floors post-January. 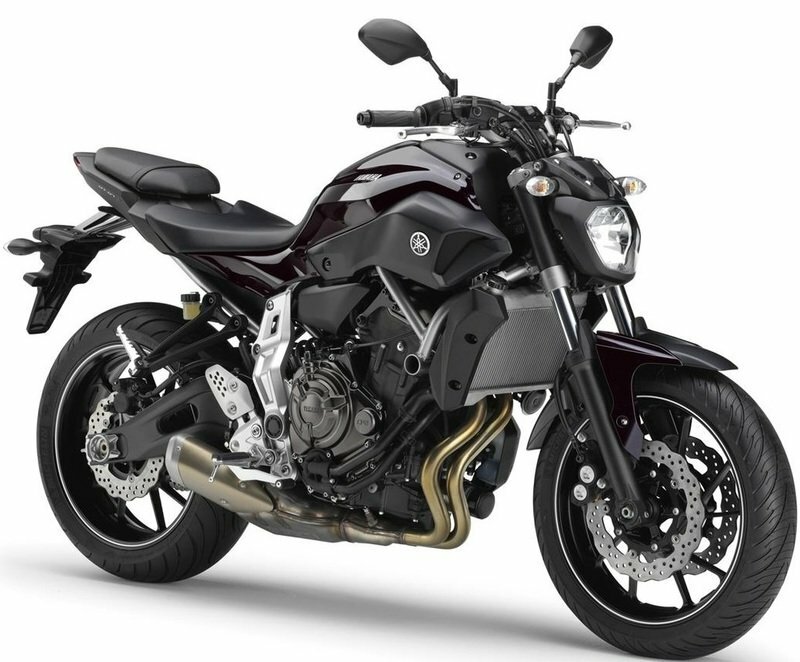 You can still, however, buy the standard 2018 MT-09 for $8,999.